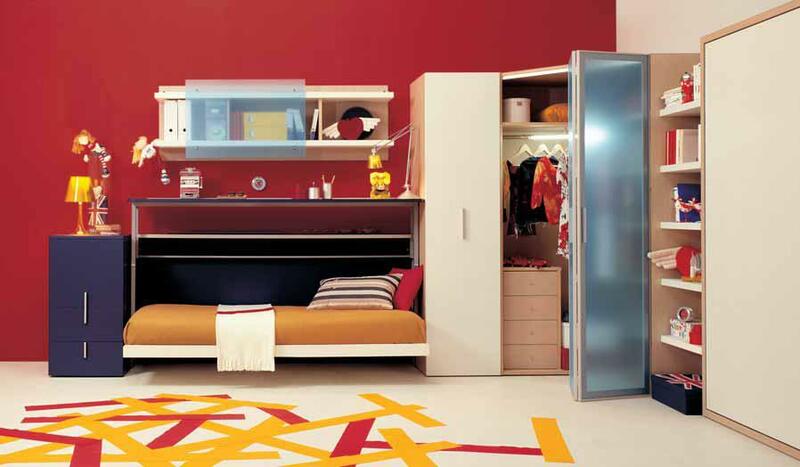 Italian furniture makers and designers Clei often have great designs when it comes to small teen bedrooms. If you’re working with limited space in your home, some of their ideas will surely provide you with decent inspiration for your teenager’s place to rest. Simple yet flexible, often with folding bed space, these bedrooms are designed to save as much space as possible while also being functional and elegant. Not all bedrooms have to be large, and with a little bit of creativity you can easily make your teen’s room cozy and pleasant. Be sure to browse through our gallery of small teen bedrooms and take you pick!